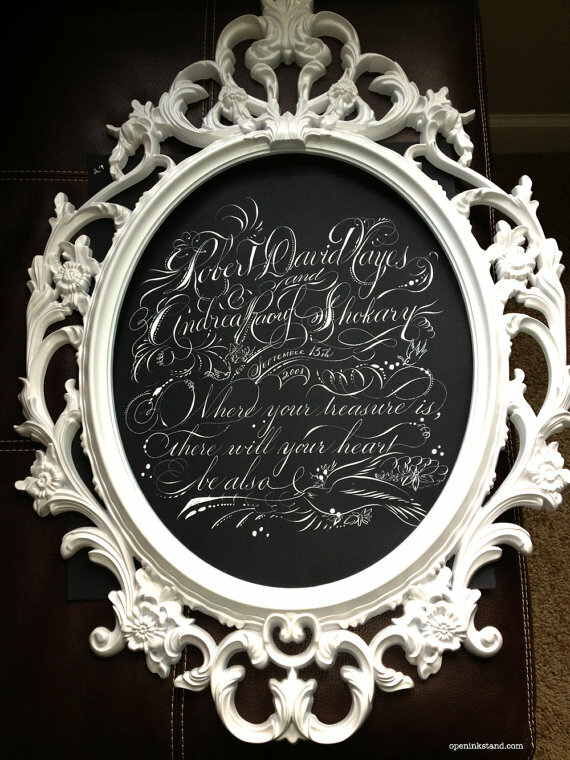 Custom Calligraphy: Vows as Art — Kindred Event Studio: Event and Wedding Planners in Waco, Texas Kindred Event Studio - Boutique-Style Weddings: thoughful, soulful, lovely. Crafting meaningful events in Texas and around the globe. 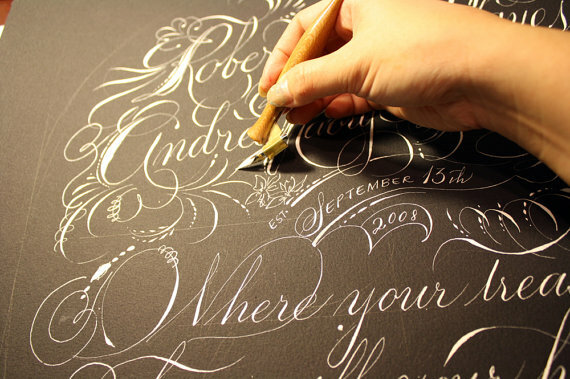 Here at Kindred we are suckers for beautiful calligraphy and hand-lettering. 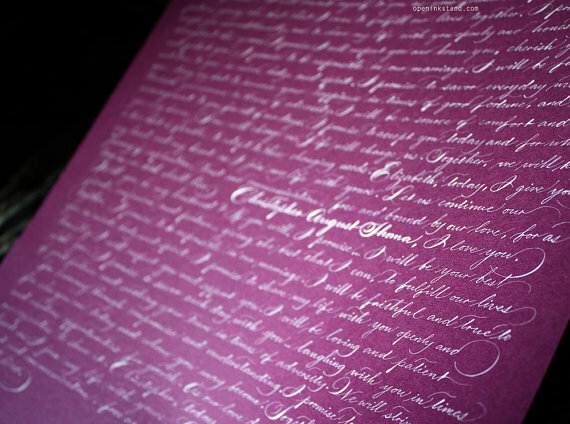 I just stumbled upon these hand written vows by Open Ink Stand and I am in love. Shin Loong is the talent behind these pieces and I am already dreaming up what I could have her do. I think these would make for the best wedding keepsake or an amazing wedding gift. Can you think of a better piece of art to grace your wall? I particularly love it for the bedroom. So deeply personal and meaningful. Here are a few more example of her incredible work. To see more of Shin's work click here.